Splendor Landbase Limited is a versatile real estate enterprise thriving in this competitive business for more than 25 years. Enthusiastically engaged in the construction of residential and commercial projects, the company has been widely appreciated for its distinctive and efficient construction style and timely executions. Some of the major projects constructed by the Splendor Group have been located at Delhi, Gurgaon and Panipat. With the primary goal of redefining excellence, the company throughout its journey has been fixated with creating an identity for itself in the market place. 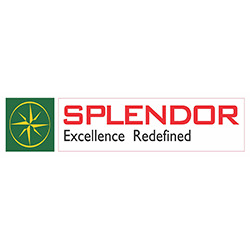 Splendor Landbase Ltd has an experience of a quarter of a century under its belt and this experience has enabled them to address customer requirements to a T and provide utmost contentment. Splendor Group’s vision and mission is “to design structures that will always encompass places appealing to the mind and to the heart - where families can be nurtured, relationships strengthened, and ultimately community will be built”. Splendor Group has a value-driven quality policy that drives them to develop and erect buildings, both residential and commercial, that are aesthetically designed and are made economically feasible for their customers. A company with a complementary social agenda, the Splendor Group’s corporate social responsibility wing inclines towards making the communities they serve better places to live, work and raise families.